Teenage bedroom must have a very thoughtful layout. That’s so because teenagers have a lot requirements that should be considered in their room. If you’re going to design room for your kid or kids by yourself you must do that. Among things that teen bedroom should have and you should consider are: a lot of storage space, a thoughtful study place, a comfortable sleeping bed and a stylish look of the room. Depending on the room’s area and amount of kids that will live there you should carefully place all furniture and live some space for walking. 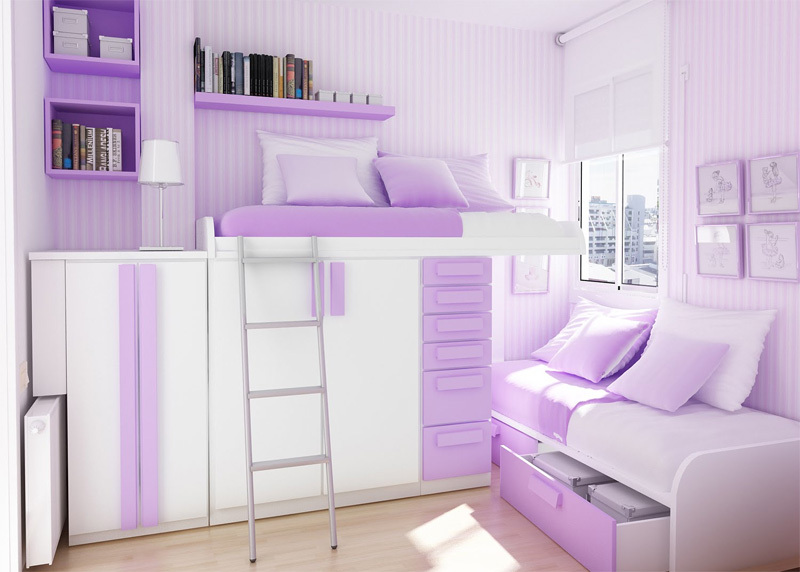 In order to understand what layout is right for your teenage bedroom check out pictures below. They are done by Sergi, who already provided us with cool teen room ideas before.